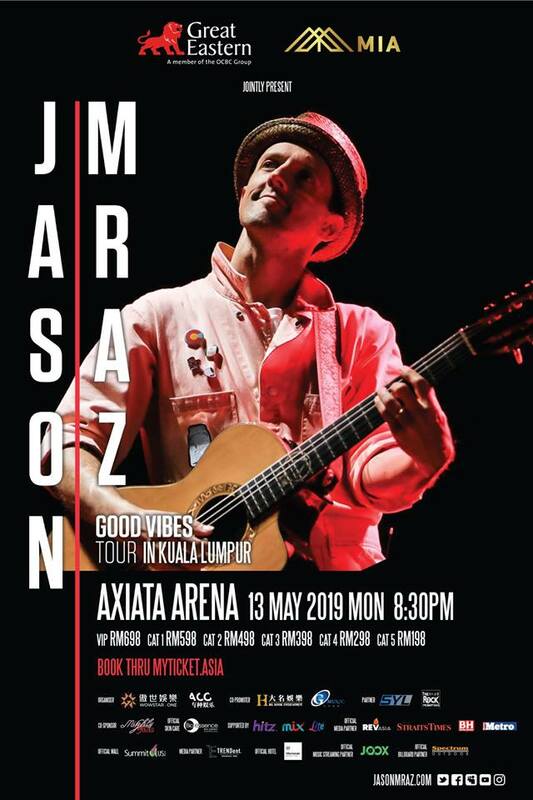 Jason Mraz first performed in Malaysia in 2009, followed by Tour Is A Four Letter Word in 2012. 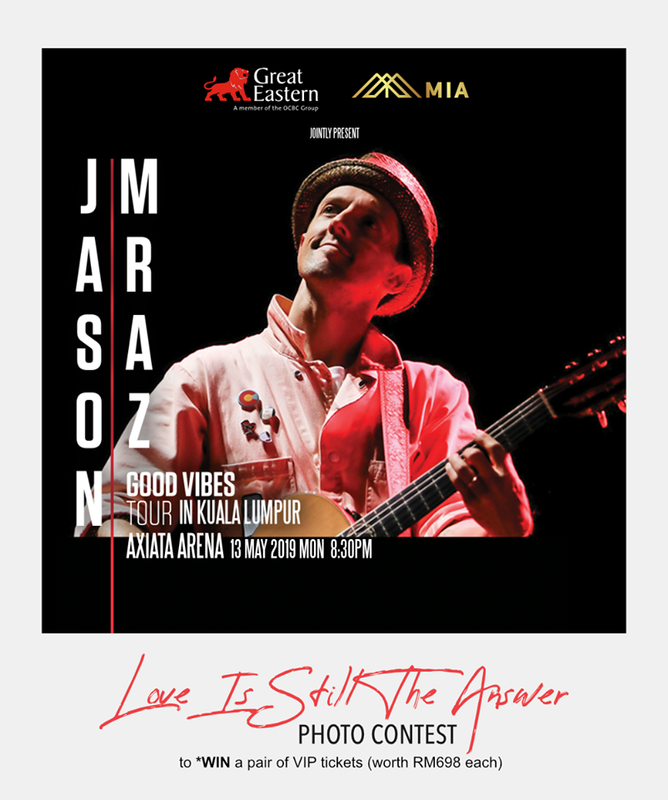 Onplaying for his Asian fans, Jason says: “I enjoy travelling to and performing for listeners in Asia. I feel a sense of gratitude and enthusiasm unlike anywhere else in the world, which makes a performance feel more like an event than a recital. The audience participation in Asia is harmonic and supersonic. I am thrilled to return, reconnect and re-experience the joy. 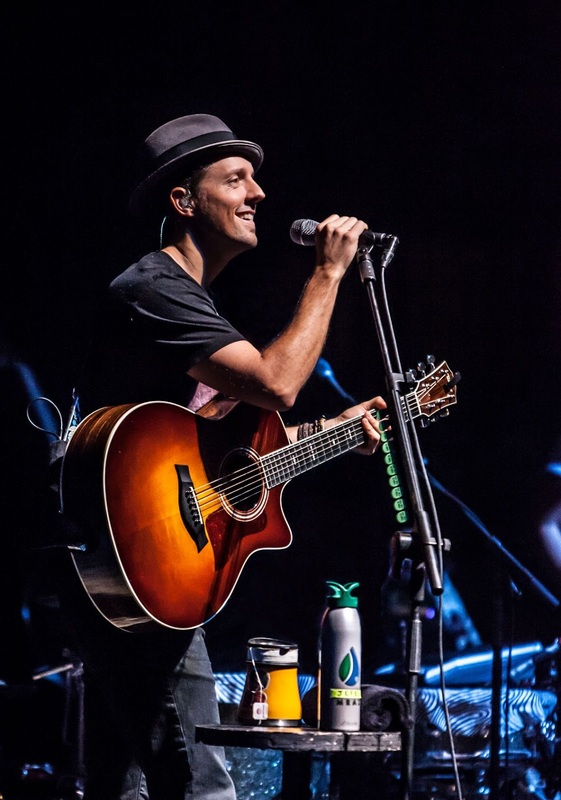 ”The Good Vibes Tour announcement follows the release of Jason’s sixth studio album KNOW. on August 10th 2018, becoming his fifth consecutive studio album to debut in the Top 10 of the Billboard 200.